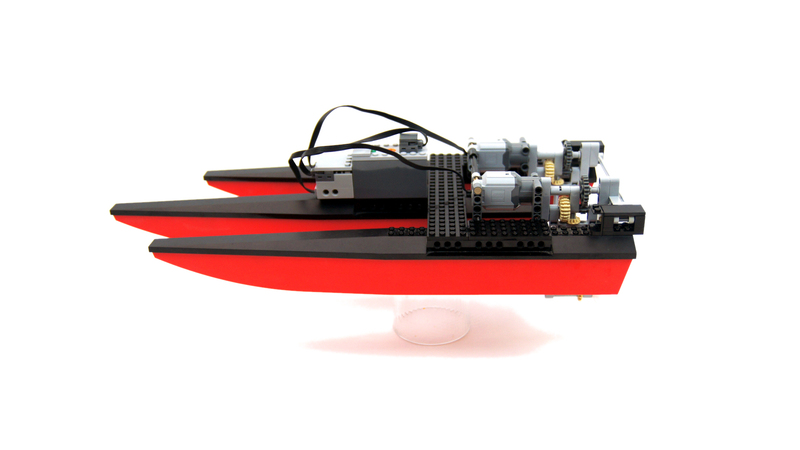 A simple boat built to test 3D-printed propellers and SBrick. 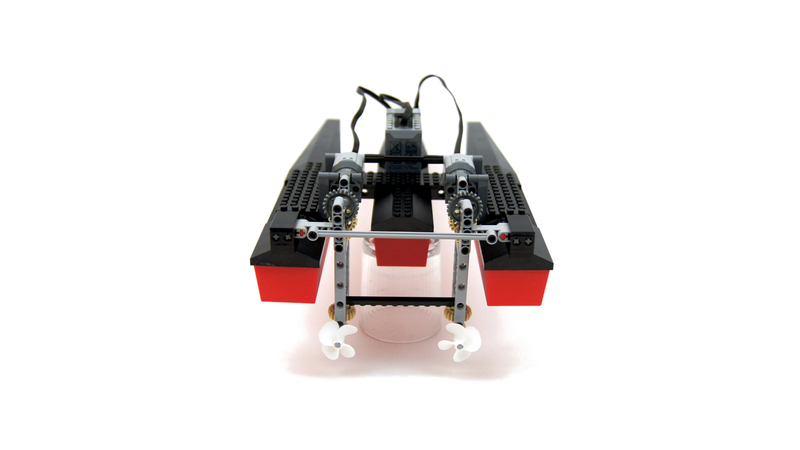 Features a two independently controlled motors. 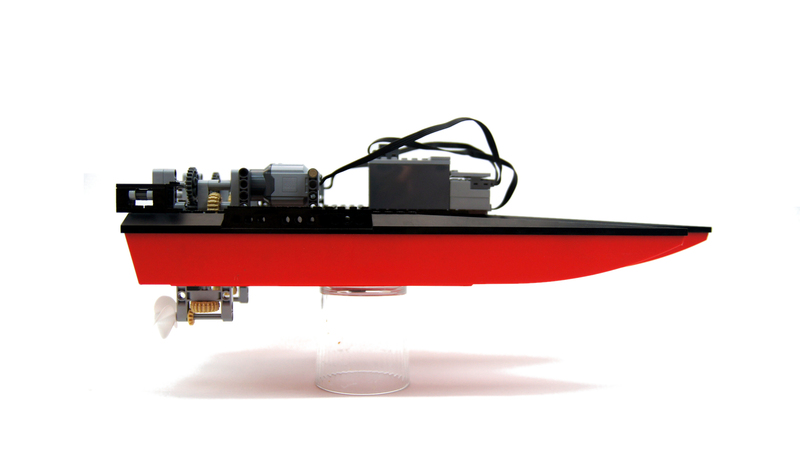 This extremely simple boat was created to test 3D-printed propellers designed by Efferman and produced by Shapeways. 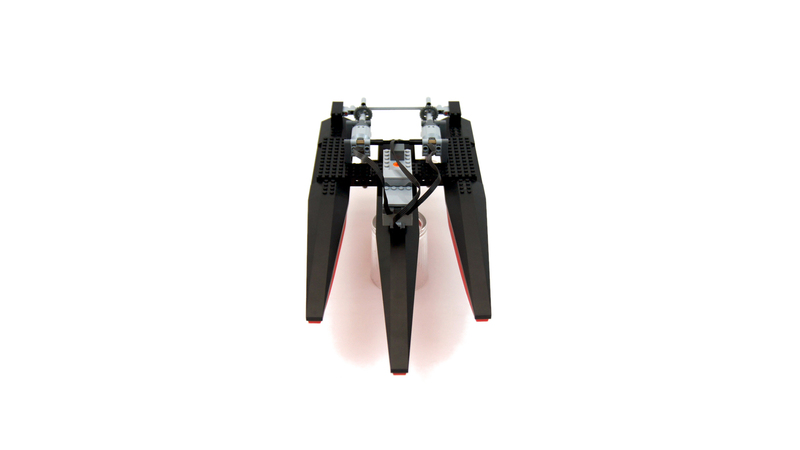 I have also used this opportunity to employ an SBrick because its range was superior to that of LEGO PF IR receivers and it would not be affected by sunlight the way they are. I was aiming for good performance, so my goal was to limit the boat’s weight and drag as much as possible. 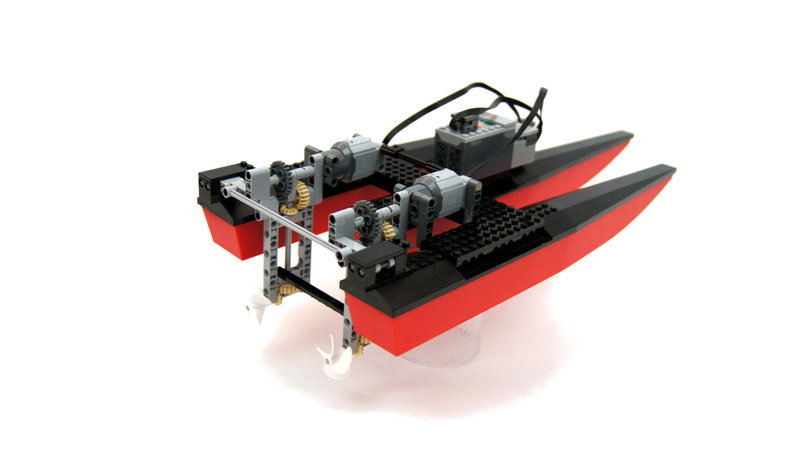 To this end, it was kept afloat by three LEGO catamaran hulls which are profiled for minimal drag, and propelled by two PF L motors, both significantly geared up, each driving a single propeller. 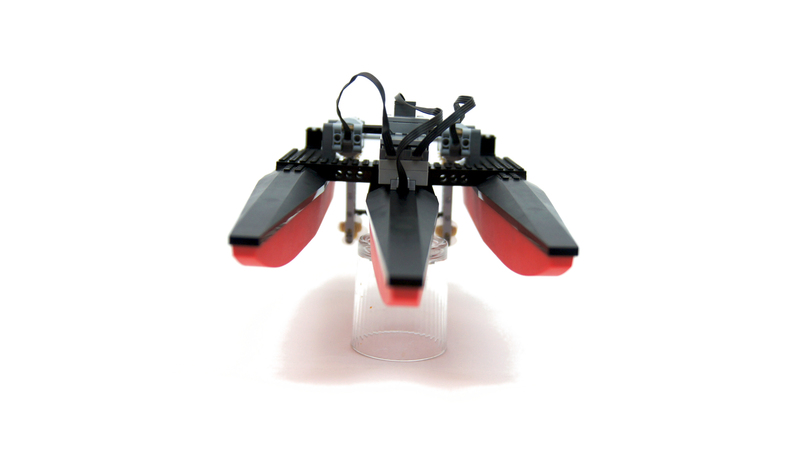 Since the SBrick allows speed control, there was no need for rudder – instead, the speed of each motor was controlled independently, allowing to make turns at any angle, and also to turn on the spot. The propellers were 5 studs in diameter, 2 studs long, and rotated in opposite directions for better stability of the boat. The motors were connected to a single SBrick powered from a LEGO 8878 rechargeable battery which I’ve chosen for its low weight. The boat was very similar to my first boat ever built, except it used just three hulls instead of four. This worked out, thanks to this boat being 200 grams lighter, but it was preceded by plenty of tests checking stability and load capacity. In fact, with the camera added I think the boat was very close to sinking and I have risked putting it on a lake with the camera only because the weather was very calm, no waves, no wind, and because the boat proved very stable. The propellers clearly outperformed almost all my LEGO boats except perhaps one which was using a single, very large propeller and two very powerful motors. 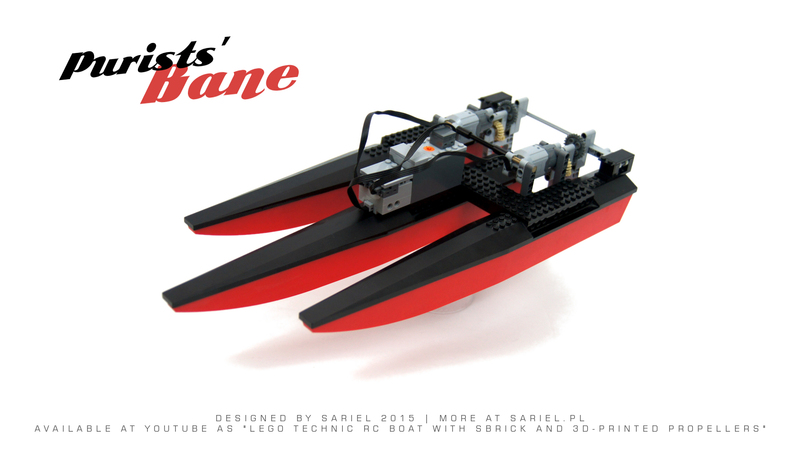 I think the motors could be geared up even more, but I didn’t want to make the boat more complex and heavier. I think the propellers’ profile proved very effective, but their size could be larger. 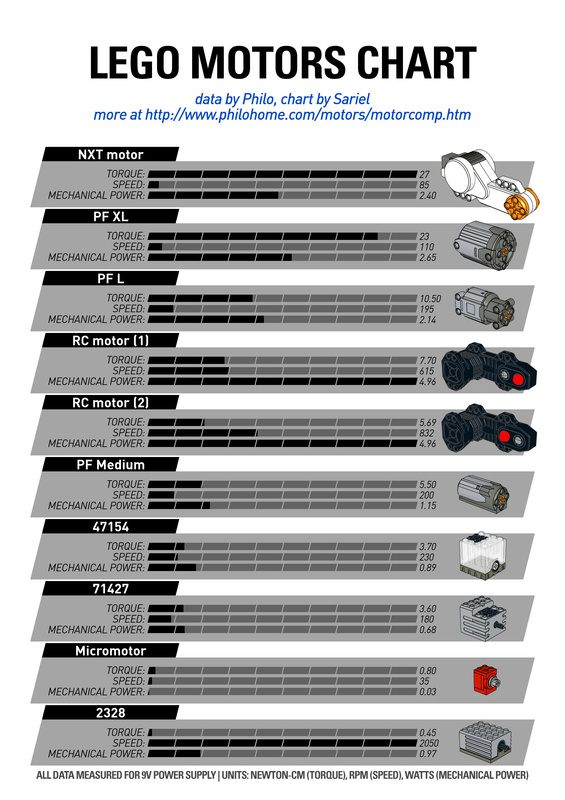 All my RC motors are in use at the moment, and I have geared up the PF L motors so much, I doubt RC motors would perform much better. 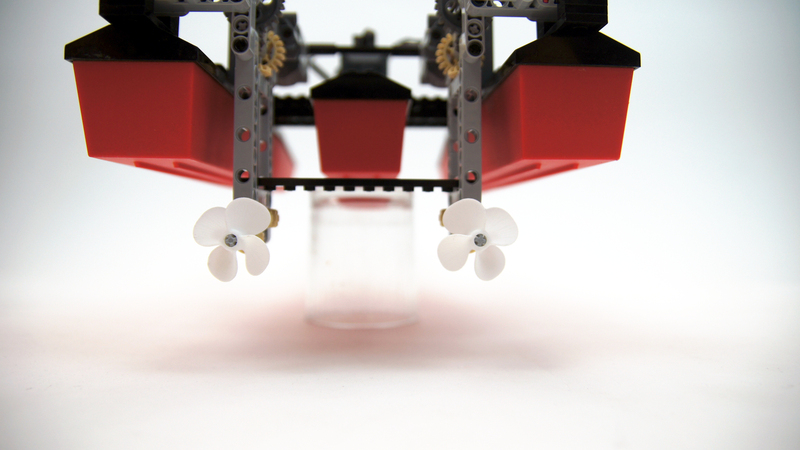 These propellers are tiny and there is only so much performance you can get with them. I’m not reviewing the B-model, sorry. Hi Sariel I suggest it high time you make the B model of the Lego Mercedes benz 42043 set. 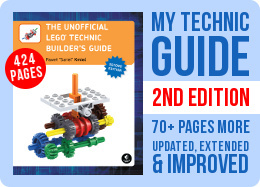 The instructions have also come online.